Thanks to Jennifer for the tip! 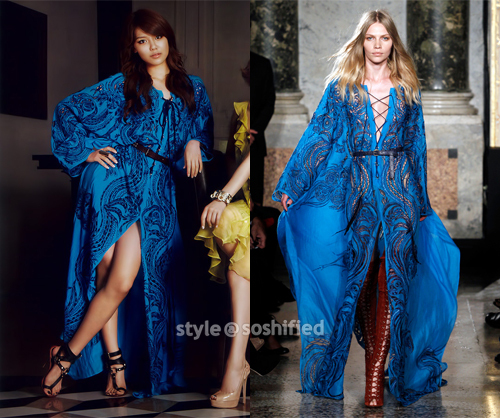 Tiffany: Who Wore It Better? 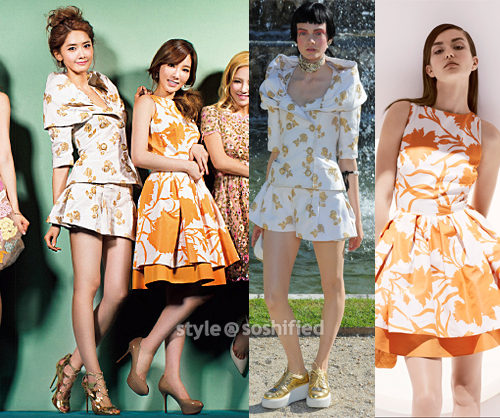 As seen in Vogue Japan July Issue, Tiffany was wearing Emilio Pucci Body Con Dress from the Spring 2011 Ready To Wear Collection. She was styled with Jimmy’s Choo Lance Metallic Leather Sandals, and soft waves with an angled bang. 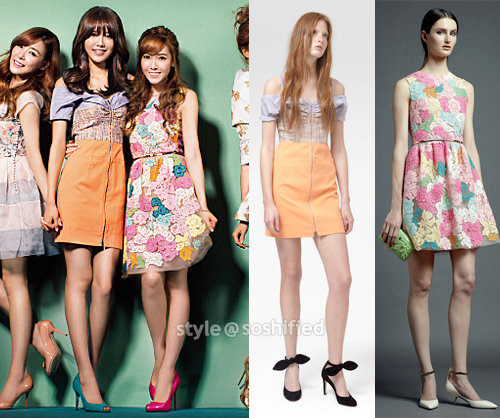 Tiffany gives sweet feel to the dress. Rihanna was spotted with the same dress during a dinner party in Italy. She accessorize with silver pointed pumps, a beehive giving a sixties spin to the dress. While Iconic Australian singer Kylie also wore the same dress to the launch of Aphrodite Les Folies tour in Brisbane, Australia. She paired the dress with silver sandal pumps also from Jimmy Choo. With beach blonde waves, and red nails she look every bit like a goddess. 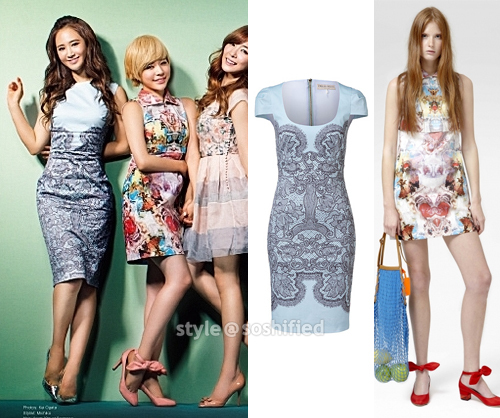 All three gorgeous ladies gave a different charm to the dress, so who wore it better. The brunette, the red head or the blonde?